Pooja founded ProjectCSGIRLS in 2013 during the summer after her sophomore year of high school. She recently graduated from Harvard College with an A.B. in Biomedical Engineering. An advocate and speaker for encouraging girls in STEM, she has spoken on the underrepresentation of women in technology and her outreach work at conferences and summits around the country. Pooja has been recognized by organizations including the National Center for Women and Information Technology and the Clinton Foundation, and she is also the founder of the Action and Civic Tech Scholars Program. Academically, she is particularly interested in the intersection of healthcare, education, and technology. For more info, see www.poojachandrashekar.com. Patsy has always believed in the strength of women. While working in television, she produced a documentary on the history of women’s right to vote. Inspired by these strong, resilient women, Patsy set out to counter the message that television and social media sends to girls – that they are not smart enough, not thin enough and not pretty enough. She began by holding focus groups among teenage girls to find out what was really going on in their lives. Determined to empower girls and introduce them to strong, resilient women, Patsy created The Virginia Girls’ Summit. The Virginia Girls’ Summit quickly sold out two years in a row and their teenage ambassadors, who create each summit, asked for more than just a one day event. She now leads She Rocks The World (SRTW), an online platform for teenage girls to share their voices throughout the U.S. and the world. Sarah Darrow is a junior at Mississippi State University majoring in Computer Science. She started coding in fourth grade when when she joined a FIRST Lego League robotics team, and she continued competing and mentoring with the FIRST programs for the nine years following until high school graduation. Her love of robots has followed her into her college career, as she participates in research developing Therabot, a robotic dog for use in therapy for PTSD patients. She also dedicates time to sharing her passion for programming through hosting camps and workshops partnering with NCWIT and the Mississippi Alliance for Women in Computing. Malavika is a senior at the Middlesex County Academy for Science, Mathematics, and Engineering Technologies. She is the executive director of Girls Make Apps, a national nonprofit that provides free workshops, programs, and hackathons for middle school-college women. For her efforts to bridge the gender gap, she has been awarded as a National runner-up by NCWIT and named a 2017 #include fellow. She is passionate about computational biology and machine learning research and has worked with researchers from the Children's Hospital of Philadelphia and Memorial Sloan Kettering Cancer Center. She earned the title of Siemens Competition Semifinalist for her research in food allergy diagnostics with machine learning. As a lifelong advocate for bridging the gender gap in STEM, Malavika is very excited to be a part of the management team of ProjectCSGIRLS! Serena Davis is a freshman at Cornell University studying Computer Science and Cognitive Science. She is a college fellow for the Female Founders Fund and a two- time recipient of the NCWIT Award for Aspirations in Computing. This year, she was also excited to be selected as a Google Scholar for the Grace Hopper Conference. Serena is very thankful for the opportunities she has had in the tech world and is passionate about creating more opportunities for women through ProjectCSGIRLS. Sanmati is a sophomore at Farmington High School hoping to pursue a career in STEM. Ever since she can remember, she always enjoyed aspects of STEM such as building robots, conducting experiments or creating applications/websites. She has been participating in all of FIRST events since 3rd grade, and has gained international recognition at Robocup. Sanmati has been also earned multiple awards in competitions such as Science-Bowl, Math-Counts, Science-Olympiad and Debate both in middle and high school. Through numerous hackathons, camps and classes, she has developed the skills needed to code in Python, C/C++, and HTML/CSS. As a very active member in her community she quickly noticed the gender gap in the STEM field. For her silver award, she helped shape/inspire young minds through introducing them to science and engineering at her local elementary school to encourage a strong passion for STEM. She hopes to continue to make a change in society by being a part of ProjectCSGirls. Karina is a junior at Los Altos High School. She is the founder and executive director of LingHacks--Silicon Valley’s first-ever computational linguistics conference and hackathon series for high schoolers. 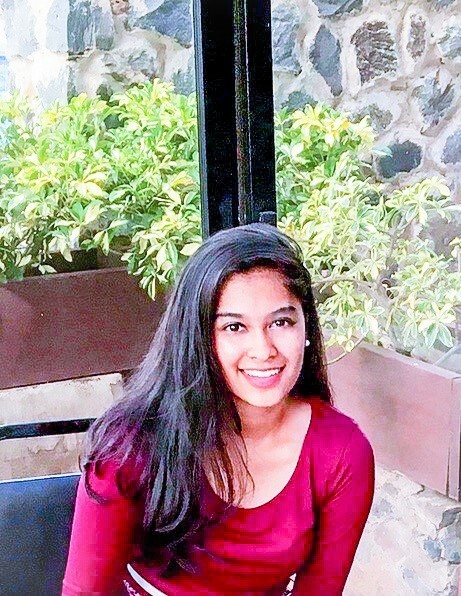 While she has always had a penchant for math, she was first exposed to CS at the Stanford Artificial Intelligence Laboratory Summer Program, during which she created a Naive Bayes classifier that connected people to resources during natural disasters. Because she speaks five languages fluently and loves computer science, she was drawn to computational linguistics, the intersection of CS and linguistics. Karina also enjoys researching education policy, coaching her former middle school’s math team, leading her high school’s math team, and tutoring math, computer science, and languages. In her spare time, she loves playing piano, dancing ballet, and creating and translating research talks. Karina is dedicated to continuing her CS outreach, advocacy, and curriculum design through ProjectCSGIRLS. Shalini is a sophomore at UC Berkeley pursuing Computer Science and Statistics. She first became interested in computer science and technology after attending the Girls Who Code Summer Immersion Program. She became aware of the shortage of women in the technology field and since then has been passionate about closing this gender gap. She’s been involved with many organizations including Girls Who Code, National Center for Women & Information Technology, FwdCode, #BUILTBYGIRLS, and the Society of Women Engineers, all in an effort to promote diversity in computing fields. She is super excited to be serving her second year on the ProjectCSGIRLS team and help inspire and teach the next generation of girls about computer science and technology. Sofiya is a sophomore attending the Abington Senior High School in Abington, Pennsylvania. Inspired by women bioengineers at the 2015 ProjectCSGirls competition (where she prototyped an app to assist children with autism), she used her science fair project, a homemade gel electrophoresis device, and algorithms from Microsoft Azure Machine Learning Studio to predict the next mutation of the Zika virus for the 2016 ProjectCSGirls competition, where she won the 4th place national prize. She now focuses on expanding her independent research interests with aspirations of designing DNA robots and on educating and inspiring other girls. She has designed and run several workshop series for girls in computer science, most recently the “You Can Code: Just For Girls” series in Fall 2017 and also established her junior high school’s first Coding Club. She currently assists in professional scientific research in two separate institutions. Maya Pandurangan is a senior at the Middlesex County Academy for SMET. She began promoting CS to girls after she graduated from the Girls Who Code Summer Immersion Program in 2017. 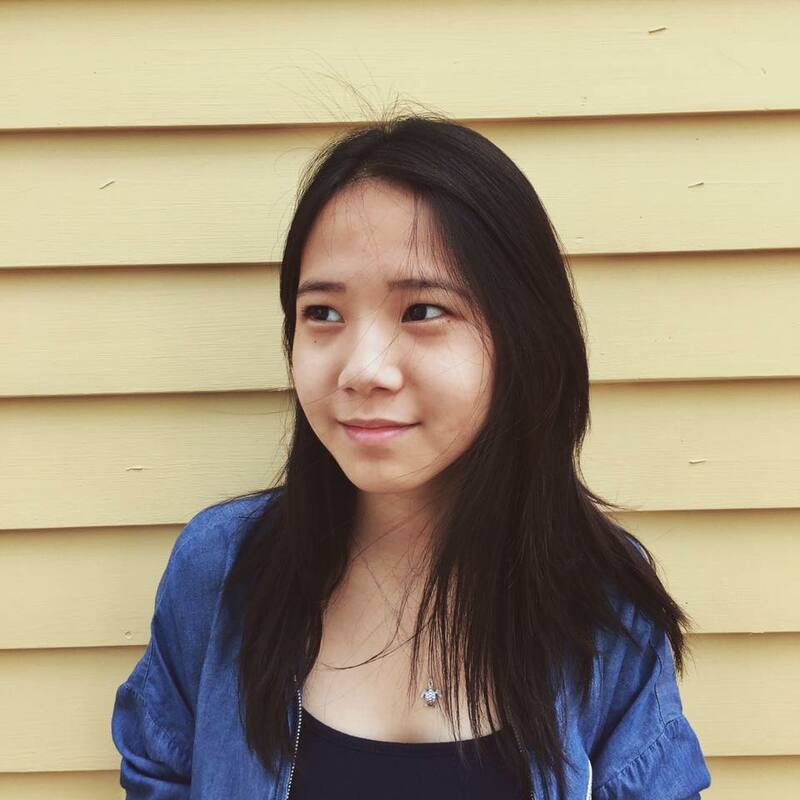 In addition to working with ProjectCSGirls, Maya is currently an organizer for Superposition, a hackathon aimed at exposing high school girls to coding. At her high school, she is involved in many clubs and is president of the Red Cross Club and secretary of the FBLA club. In the future, Maya plans to pursue a degree in Computer Science and continue helping young women explore their passion for tech. Britney Phan is a first-year at University of Virginia studying computer science. She first began coding when she was 11, when she created her own blog. Since then, she has been part of the events team for ProjectCODEt, where she helped write curricula, plan events, and lead coding workshops for elementary and middle school students. She also co-founded the community outreach initiative on her high school FIRST Robotics team, leading STEM outreach events and workshops. In 2017, she won the State NCWIT Aspirations in Computing Award in Virginia. In her free time, she enjoys learning how to play the ukulele. Anisha is a senior at James B. Conant High School. She became interested in computer science after completing the Girls Who Code Summer Immersion Program with Accenture Chicago, and fell in love with the message Project CS Girls spreads after attending the 2017 gala. These experiences fueled her passion for bringing awareness to the gender gap in STEM fields. In her spare time, she sings in various choirs and has been apart of her school’s speech team throughout her high school career. She is excited to help other girls find a passion in computer science. Marissa Sanchez is a freshman at Boston University aspiring to double major in Mechanical Engineering and either Computer Science or Computer Engineering. She has always been fascinated by STEM related fields and developed the interest she had for programming after attending several tech related summer programs. After reflecting on how these programs strengthened her confidence in herself, Marissa now wants to have the same impact on other young girls across the country and use her skills to help these girls and people globally. In her free time, Marissa enjoys reading, exploring cities, and self-learning programming languages. Ever since Jocelin got her first taste in programming in AP CS class her freshman year, she has loved learning about computer science. She’s won a number of awards in programming competitions and hackathons, qualified for USACO Gold, and conducted projects in CS and AI. She leads several STEM-related clubs at her high school and runs a local coding club for middle school girls as well. Jocelin has a deep-rooted love for math and qualified for USAJMO over the past 2 years. Her other interests include art, singing, and playing the piano. Grace is a junior at Princeton High School. She is the founder of appsForGirls, holds technological positions in many groups in her community, and is recognized by NCWIT for her efforts in computer science. Other than CS, she is passionate about mathematics (especially graph theory :-) ) and creative writing, and is constantly looking for ways to interweave the three. When she's not nerding out, you'll probably find her taking walks during sunset, poring over literary & art magazines while drinking bubble tea, creating playlists, or rewatching Friends for the millionth time. Exposing girls to STEM is always a fulfilling experience for her. Divya is a sophomore at Troy High School. She is a member of the Troy School District Superintendent Advisory Board and has organized charity events for middle and high school students. She earned the title of National Finalist of the Genes in Space competition and was invited to give a presentation at the International Space Station Research and Development Conference. Divya also received the Outstanding Award in the Science and Engineering Fair of Metro Detroit in 2017. She is currently working with researchers from Children's Hospital of Michigan to assess noise exposure levels in neonates. She looks forward to being a part of the ProjectCSGirls Programs team! Bio: Regine De Guzman is a 3rd year computer engineering student at UC Santa Cruz. As a young girl, Regine grew an interest for computers after her parents, both immigrants from the Philippines, bought her first desktop PC. She is heavily involved with the women & technology community in Silicon Valley, while encouraging young women to pursue STEM careers. In 2017, she served as the Girls Who Code San Francisco Regional Champion, gave her first TEDx Talk: “Teach Your Daughters How To Code”, and recognized as the “future of UCSC” (George Blumenthal, UCSC Chancellor) and a “STEM role model" (Janet Napolitano, UC President). Charlie Donnelly is a junior at Menlo School. She is interested in Computer Science and recently attended MIT Launch, where she began developing a startup. Charlie helps in leading her school’s STEM club and leads an NCWIT AspireIT initiative that teaches girls how to code. Charlie received the NCWIT Award for Aspirations in Computing and hopes to expand her knowledge of various programming languages. She enjoys mentoring and teaching others how to code and is excited to help girls get more involved in STEM through ProjectCSGIRLS. Runnie Exuma is currently a junior at Brooklyn Technical High School with an interest in artificial intelligence, biotechnology, the synthesis of computer science and social good, and fighting for racial and gender equality. She is currently the executive director of the organization Young Hackers, a group of teenagers and young adults devoted to diversifying the next generation of hackers by organizing diversity oriented tech based events in New York City accessible to city teenagers. Runnie also cofounded the first student-led hackathon at her school to encourage underrepresented minorities to pursue computer science. She also serves as an executive for the Girls Who Code chapter at her school, and president of the school’s feminist group. When she isn’t protesting for gender equality or coding, you can find her listening to music, skateboarding, or watching Daria reruns. She is very excited to be a part of the ProjectCSGIRLS team and to connect and work with girls everywhere! Gabby is a junior at Samford University studying psychology and computer science. She is fascinated by the blend of engineering and technology, and is pursuing a career in Human Factors. Her research in psychology has been published in the Cleveland Clinic Journal of Medicine and her knowledge of technology was utilized this past summer working for a User Experience consultancy group in South Africa. During the year, she enjoys being an assistant teacher for students with disabilities, a psychology research assistant, the Vice President of the German club, and an avid women’s rights activist. Shreya is currently a junior at Adlai E. Stevenson High School. She got into computer science when she began working in python, HTML, CSS, and Java. Shreya has done an internship at Aissel Technologies, and she is a member of her school’s science olympiad. Shreya is currently working on a website for the middle school science olympiad team. She has always promoted girls in STEM and looks to start groups and clubs at her school and is excited to be a part of the Programs Team! Olivia Long is a sophomore at Princeton University concentrating in Physics. During her sophomore year in high school, she founded and led Operation Girls in Tech, a summer computer programming camp for middle school girls and funded by the National Center for Women in Information Technology. Olivia is passionate about decreasing the gender gap in technical fields and popularizing science. She has also conducted scientific research since high school and is a 2015 Research Science Institute Scholar. Olivia’s academic interests lie at the interface between physics and computer science. She hopes to apply interdisciplinary knowledge to create new technologies. Outside of academics, Olivia enjoys playing piano, dancing, reading, and food critiquing. Sruthi is currently a freshman at Monta Vista High School in California. She first got introduced to programming when she participated in FLL robotics in 5th grade, which got her into programming in higher level languages such as Python and Java. Her five years of robotics experience with FLL, also got her interested in participating in her high school robotics team, which she is part of. Her interest in science and programming encouraged her to participate in many science competitions including the ProjectCSGIRLS competition of 2017. Sruthi was one of the three grand prize winners, and her experience inspired her to become a ProjectCSGIRLS team member, so she could give other girls the same experience and get them interested in computer science. Sruthi also teaches robotics and coding, to spark more interest in STEM in elementary and middle school girls and boys. 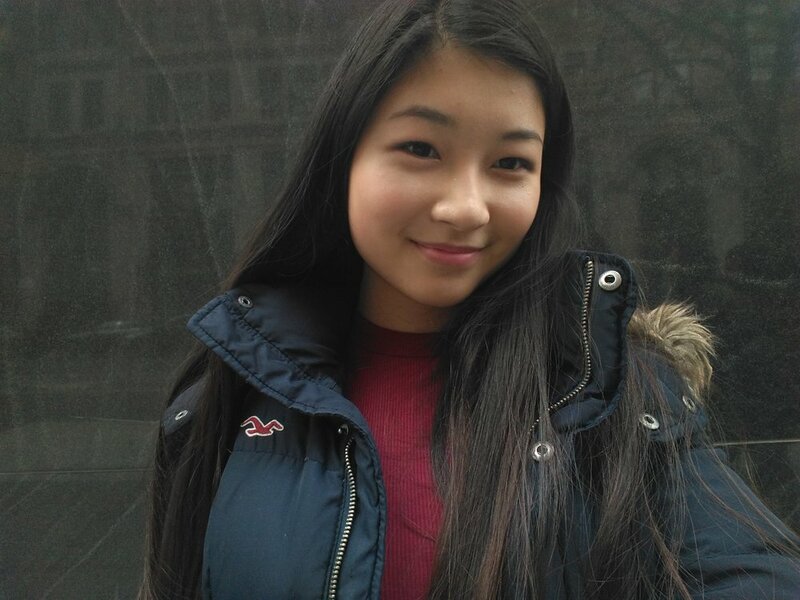 Areeta Wong was first introduced to computer science through Girls Who Code's Summer Immersion Program at Twitter HQ. After this inspiring experience, she founded and organized Superposition, an all-girls hackathon dedicated to exposing high school girls to technology. Her support for computer science education has led her to become a teaching assistant for her school's Introduction to Computer Science class and her local Girls Who Code club. Currently, Areeta co-directs HSHacks, SM Hacks, and CodeDay Bay Area and is Director of Event Management at Hack+, a 501(c)(3) nonprofit dedicated to helping students venture into business and start organizations. Ottilie spent last summer working in the BRIDGE laboratory at the University of Nebraska Omaha, where she assisted with IT Innovation research and filmed a series of promotional videos. She also volunteered at the Henry Doorly Zoo (she mostly just talked about sharks). Her proudest accomplishments include leading her short film team to All-State and receiving NCWIT’s aspirations award. She is also able to somersault with a laser gun, and she can talk to cats (but they don’t talk back). Ottilie is a senior at Lewis Central High School, and plans on majoring in either Computational Linguistics or Computational Epidemiology. Megha is a sophomore at Wilton High School. She was introduced to coding when she attended a Girls Who Code camp in her towns library. Prior to learning coding, Megha enjoyed participating in science and math related activities, one of them resulting in her becoming a Connecticut Science and Engineering Fair finalist. Over time, she has enjoyed learning python, HTML, and CSS. Her passion for bringing girls into STEM fields has deepened, after learning about the decreasing number of women pursuing STEM relating fields. She hopes to educate girls about the great jobs in this amazing field. Yingxue is a senior at High Tech High School. She is currently a Programming & Web Design major at her school, where she has learned several programming languages. She leads her school’s Technology Club, which runs workshops, field trips, and community initiatives related to STEM and digital media. Additionally, she is very involved in youth mentorship in her community, and has tutored and coached K-12 students for the past 3 years. During her free time, she enjoys judo, yoga, origami, reading, and listening to podcasts. Grace is a junior at Hampton High School. Being one of two girls in her computer science class, she is devoted to encouraging more girls to pursue computer science as a career. She recently taught a coding workshop to middle school girls which was funded by the National Center of Women & Information Technology. Additionally, she is heavily involved with other efforts to make tech more inclusive. She is involved with communications and social media at other student-run non-profit organizations. Outside of tech, she is an active member of her school’s debate team. She also enjoys drawing and exploring cities. Before starting Harvard University in the fall of 2018, Julia is taking a gap year, during which she will be going to Seville to begin learning Spanish and then to Shanghai to build upon her eight years of Mandarin instruction. A Girls Who Code Alumni Ambassador and a former Information Security Analyst Intern at IAC/InterActiveCorp, Julia co-organized "Bit By Bit: Breaking the Barrier for Girls in Tech," a Spring 2017 conference in New York City to get more high school girls interested in tech. Aside from helping to expand the scale and reach of ProjectCSGIRLS as part of the Communications and Marketing Team this year, Julia is also the Director of Marketing for FwdCode, a non-profit organization which runs college hackathons promoting unity and social good. When she is not coding or practicing her Chinese, you can catch her playing volleyball or watching "I Love Lucy" re-runs. Emily is a neuroscience major at Bowdoin College, where she works in a physiology and neurobiology lab investigating the modulatory effects of peptides on lobster hearts. Although not her course of study, Emily has been involved with computer science in and out of the classroom from a young age, participating in robotics teams (FLL, FTC), working for the cybersecurity division at Bank of America, and researching in the Neuroengineering and Biomedical Instrumentation Lab at Johns Hopkins University. She believes that the influence of computer science is everywhere and loves to inspire others to explore the field! Simran is currently a senior at Amador Valley High School intending to pursue a career relating to entrepreneurship in technology. She leads the Competitive Computer Science Club at her school in which she has founded a division promoting girls in STEM. As well as computer science, she is also interested in business, serving as President of the DECA chapter at her high school and working with local organizations with their marketing strategies. Simran is a passionate advocate for women’s rights, working to empower girls by taking part in her school’s GirlUp chapter. Tina Bastin is a senior at Lexington High School in Massachusetts. As a humanitarian, Tina’s main goal is to empower women in the STEM fields. She has been involved in many organizations supporting women, and in social works such as Global Tech Women, Red Cross, and Kids Food Basket. Tina researches at Whitaker Cardiovascular Institute, Boston University Medical Center and loves to shadow physicians. As a strong feminist and a Global Tech Women Leader, she published an article “Objects or Humans? Promoting Women in STEM," which was promoted by the Global Tech Women Leader Committee. In her free time, Tina continues to love science and she is also a part of the Lexington Debate Team in her high school. Hunter Healy is a Computer Science major at the University of North Carolina at Charlotte, studying cybersecurity. Hunter is a two-time National Center for Women in Technology, Aspirations in Computing award recipient. Also through NCWiT, Hunter is an Aspire IT! program leader where she teaches girls to code. Hunter works as a technology staffer at a congressional campaign where she leverages the power of technology to catalyze civic engagement. Hunter's notable achievments include delivering the TEDx Talk, Innovative Technology: Achieving UN Sustainable Development Goals, and serving as a Non-Governmental Organization representative at the 60th session of the United Nations Commission on the Status of Women. Hunter is excited to contribute her perspective to the ProjectCSGIRLS Partnerships team. Isha is a Senior at UNC Chapel Hill majoring in Computer Science and Economics. Her interests lie in technology, entrepreneurship, finance, and healthcare. She was on the Student Technology Advisory Board in UNC Student Government and the President of the Global Business Brigade. Furthermore, she has done research in developing software for Cystic Fibrosis research in UNC School of Medicine. Isha has also been working on multiple entrepreneurial projects and co-founded a startup which received the Carolina Innovation Challenge Award. As a budding female entrepreneur/software engineer in the tech world, Isha believes to shatter the glass ceiling and hopes to empower young girls through ProjectCSGIRLS. Greg is currently an Account Director with Infinera Corporation, maker of DWDM Fiber optic transmission equipment. He has a BSEE from Old Dominion University and has held numerous Engineering positions at Broadwing Communications, Corvis Corporation and NASA Goddard Spaceflight Center. Greg has had several mentoring roles including education outreach for NASA, math tutoring and coaching girls soccer. He has also been a part of several start-up ventures that were focused on areas related to technology (WiFi Point of Sale), student athlete search engines and financial services. Greg is also the father of three daughters, 2 of which are in math and science-related fields, and is an avid amateur triathlete. Ruthe Farmer has focused her efforts on diversity and inclusion in tech and engineering since 2001 and is currently Chief Evangelist for the CSforAll Consortium. She most recently served as Senior Policy Advisor for Tech Inclusion at the White House Office of Science & Technology Policy where she led implementation of President Obama’s call to action for Computer Science for All (CSforAll) American students, and advised on national tech inclusion policy. While at the White House, Ms. Farmer launched the Summit on Computer Science for All. Prior to joining the White House, Ms. Farmer served as Chief Strategy and Growth Officer at the National Center for Women & IT (NCWIT) and Director of the NCWIT K-12 Alliance. She launched and scaled the immensely successful Aspirations in Computing talent development initiative for young women in computing, growing the program to a national footprint in just three years. Additional significant contributions include: the TECHNOLOchicas campaign for Latinas, the expansion of the NCWIT Student Seed Fund, and leadership of the NCWIT K-12 Alliance. Ms. Farmer served as the 2012 Chair of Computer Science Education Week, was named a White House Champion of Change for Technology Inclusion in 2013, and received the Anita Borg Institute Award for Social Impact in 2014. She is a profile public voice for equity and inclusion in technology and has been an invited speaker at the UN, the European Parliament, the White House, the Washington Post, Oxford University, the Federal Reserve, universities and colleges nationwide and many others. Ms. Farmer has been a guest contributor for Techcrunch and the Shriver Report, and has been featured in Forbes, The Financial Times, TechRepublic and EdScoop. She holds a BA in Communications and German from Lewis & Clark College, and an MBA in Social Entrepreneurship and Marketing from the University of Oxford Said Business School. She is passionate about integrating innovative business strategies into social change efforts. Kelly is an angel investor and includes co-founding a startup accelerator plus an interim CMO role with a startup as part of her journey of reinvention as a speaker and writer. In addition to her portfolio of angel investments (Levo League, Hullabalu, Smigin, CloudPeeps, SQL Vision, flowthings.io, Jekudo), she is a LP in Laconia Capital Group. Kelly continues to mentor startups through her involvement in selected accelerator programs and is an advisor to several startup initiatives (JuiceLabs, BUILDUP, NZTE, CTA). In addition to these professional pursuits, Kelly is the Chief Tech Ambassador for the YWCA of NYC’s Girls Geek Club. “Invest in the change you want to see in the world” is Kelly’s motto.